I tried to do a dual colour, and the only one that sorta worked was black because of Unholy Strength , but then I need more lands. Damage - A creature with Holy Mantle cannot be damaged by creatures. Equipping/enchanting - Not relevant with Holy Mantle, but White Knight can't be enchanted with Unholy Strength. Blocked - A creature with Holy Mantle cannot be blocked by creatures, which is to say it cannot be blocked. Targeted - A creature with Holy Mantle cannot be targeted by abilities of creatures (like Shriekmaw's ability). As Wakening Sun's Avatar's ability doesn't target or deal damage, it's not effected by protection. 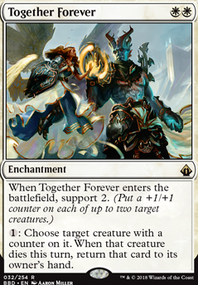 unfortunately the cheapest casting cost Specter in modern is 3 mana. BUT there are a couple good ones to chose from in that 3 Mana range. you already have the Hippy, and Lili. but there are also Needle Specter and Nightveil Specter though that last one is a bit iffy, it could be fun though. 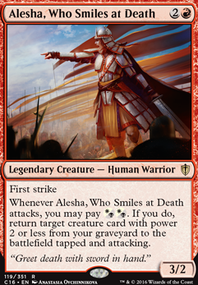 there are two others in the 3 mana range but one is 3 colors Red, Black, Blue... Sedraxis Specter. 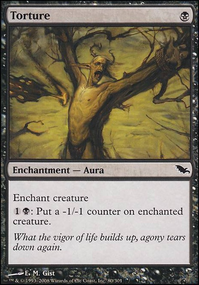 the other one uses Infect Whispering Specter i personally dislike Infect, but it is a kinda nifty thing it uses infect for. 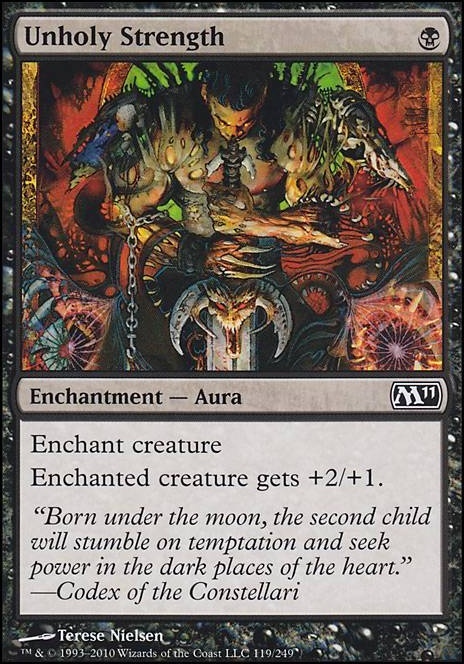 also (just as a side note) if you can keep your Specters in the 3 to 4 mana range (for the most part) you might want to add in (if you can) a couple Aether Vial that is if you already have a couple, they are a bit expensive so... but those could be good replacements for your Dark Ritual and Cabal Ritual they are not needed, just a thought if you have them, and if you dont maybe keep an eye out for a couple in trade. @cdkime lol yeah that compare/contrast really does make the art nonsensical... Glad that they eventually gave it the art we see today Unholy Strength especially with the ying-yang concept with Holy Strength. The Fourth Edition one is so incredibly goofy looking. 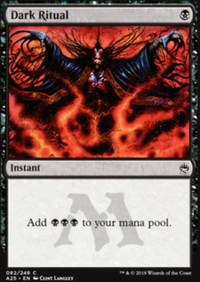 I love how clearly Wizards half-assed the removal of the pentagram, simply painting over the background, rendering the artwork nonsensical. What year/in which set was the "Satanic" upside-down burning pentagram in background of Unholy Strength removed?? Bonus points if you can tell me whether decision was voluntary/internal or was influenced by outside source/group.